Cord leader Raila Odinga on Tuesday criticized President Uhuru Kenyatta for inking a sugar importation deal with Uganda, warning it could lead to the total collapse of local millers. He also questioned the pact that allows Kenya to export beef and dairy products to Uganda, arguing that the capacity to produce the two products for local consumption, let alone export, is lacking. In what seemed to be the opposition’s onslaught on business deals that the Jubilee administration has entered into, Mr Odinga claimed secrecy and individual business interests have superseded the national good. The ODM leader challenged President Kenyatta to make public the deals he signed with his Uganda counterpart Yoweri Museveni to allow the public to judge their worthiness. “We, therefore, call on the President to make public the entire content of the trade agreement signed with Uganda for scrutiny on how the Kenyan workers, farmers and taxpayers stand to benefit. The government should equally make public all similar deals signed with other countries,” he said in a statement. 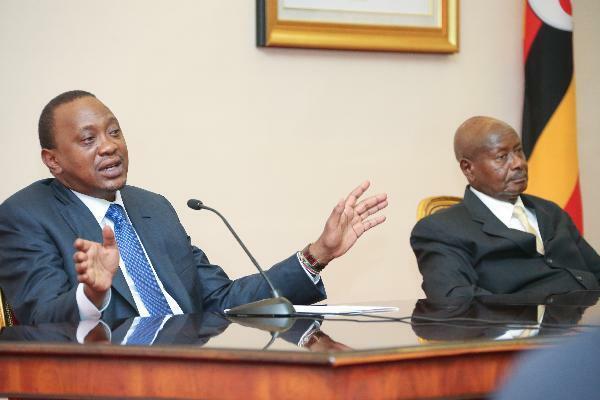 During his three-day state visit to Uganda, President Kenyatta and President Museveni signed deals to allow importation of cheap sugar to Kenya. For its part, Uganda agreed to import beef and dairy products from Kenya. They also signed a deal to construct a Sh400 billion pipeline that will transport oil from Albertine to Lokichar in Turkana County. The agreement, it appeared, was meant to solve the long-standing non-tariff barriers that have impeded exports of beef and dairy products to Uganda while importation of cheap sugar from Kampala has always been hit with questions about the rules-of-origin criteria. Mr Odinga warned that importing cheap sugar from Uganda would kill local firms, which are on their knees due to poor management, lack of payment and cane to crush. Leading sugar miller, Mumias, he said, is fighting for survival. “This deal on sugar is sour. It comes at a time Kenya’s leading sugar manufacturer Mumias Sugar is struggling to get back on its feet. Sugar cane farmers across the country are equally struggling as a result of lack of payments,” he said. He charged that it was ironical for the Jubilee administration, which injected Sh1 billion to bail out the ailing Mumias Sugar Company, to turn the other way and allow killer pills in the name of cheaper sugar imports from Uganda to finish the miller. “It (the deal for cheaper sugar imports) flies in the face of the government’s stated attempt to revive Mumias Sugar through tax-payer funded bailout. It seems reckless of the government to put money into a struggling sugar firm then proceeds sign a deal whose effect will be to flood the market with cheap imported sugar,” he said. Kenya’s politicians have raised questions about whether Uganda’s sugar meets the rules of origin, with Lugari MP Ayub Savula describing the neighbouring country as a “net importer of sugar”. One of the allegations that suspended Agriculture Cabinet Secretary Felix Koskei faced — and has since been cleared — was the award of sugar-import tenders from Uganda. “Kenyans need to be told how this deal benefits our sugar industry, how we will police the Uganda sugar sector to ensure what is exported to Kenya originates from that country and that Kenyan traders do not take advantage to sneak in their own imports,” he said. Mr Odinga also questioned the deal for Kenya to export beef and dairy products to Uganda, arguing that the Kenya Meat Commission (KCC) and the New Kenya Co-operative Creameries (KCC) have no capacity to produce the products for export. He said the deal raises questions, claiming that perhaps it was meant to benefit other individuals apart from the KMC and KCC. 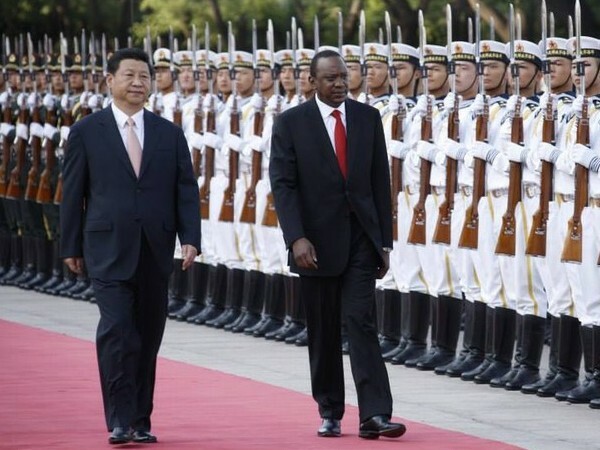 “It is, therefore, unclear who this deal is meant to benefit in Kenya. The deal, therefore, seems dangerous and reckless,” he claimed. However, the deals appeared to have elated Kenya Association of Manufacturers (KAM) Chief Executive Phyllis Wakiaga, who argued that the hurdles that her members have been facing while seeking to trade with Kampala were resolved. “The non-tariff barriers are undermining integration and growth of the internal market and Industry is calling for commitment from Ministries of EAC and Trade to advocate for the removal of these barriers and also engage political leaders to see the prudent implementation of the Treaty,” she said. Unperturbed, Mr Odinga claimed that trade agreements and tenders that the Jubilee administration has signed and awarded were shrouded in secrecy and may not benefit Kenyans. He cited tenders for managing the new Kenya Ports Authority terminal and constructing the Uganda-Kenya crude oil pipeline. “The contracts mark a continuation of deals similarly shrouded in secrecy, mostly through single sourcing and where personal business interests override national interests,” he said.